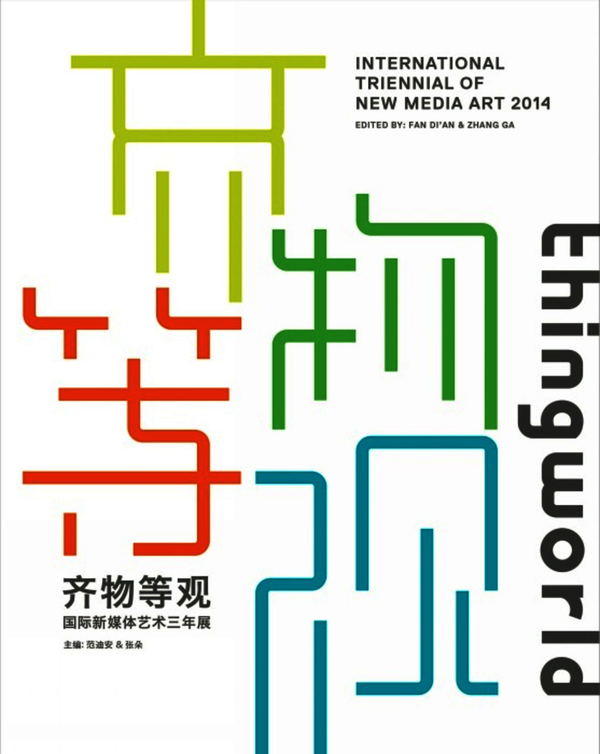 Richly illustrated and boasting an array of distinguished artists, scholars and curators, thingworld is the catalogue of the International Triennial of New Media Art held at the National Art Museum of China. From metal balls ascending in an uncanny anti-­gravitational movement to a Victorian sofa standing precariously à l’attitude; from miniature instruments which require a magnifying glass to peek at their elegance to monumental inflatables that entwine and elongate to permeate 5,000 square feet of gallery space; from murmuring tweets from the virtual void to billions of algorithmically generated configurations of a mere 24 cards depicting an 18th-century genre painting; the exhibition unfolds its three themes: Monologue: Ding An Sich; Dialogue: Ding to Thing; and Ensemble: Parliament of Things in a reciprocal interrelation. In celebration of thingworld, there emerges an opportunity to reinvigorate the impasse of cultural production that is contingent solely on the premise of a human subject through a much-­expanded field of operation; there will be a newfound world of discussions, concerns giving rise to new forms of artistic experimentation and new vocabularies of aesthetic manifestation that resonate with a vision of equity molded by a renewed political ecology, that is the "Equality of All Things". Fan Di'an is Director of the National Art Museum of China. Zhang Ga is Professor at Tsinghua University Art & Science Center MediaLAB; Associate Professor at Parsons the New School for Design and editor of Synthetic Times (MIT, 2009).